Though Rio has a reputation for beaches in the day and parties through the night, the city is surprisingly child-friendly, with plenty of places and activities that are family-orientated and welcoming to children. RIO DE JANEIRO, BRAZIL – With its natural beauty, friendly locals and tropical climate, Rio de Janeiro has so many things going for it that make it perfect for a family holiday. Often travel guides focus on the side of the city that is devoted to parties and Carnival, but there is a wealth of attractions on offer for younger folks. The island of Paquetá offers a manageable and safe place where kids can run free and follow their curiosity, photo courtesy of Alexandre Macieira/Riotur. Bamboo Family Club runs activities for children up to the ages of ten years old, including capoeira, theater, zumba and music, while staff speak English, Spanish, German and Portuguese. And being in the heart of Ipanema, in Rio’s ‘Zona Sul’ (South Zone) this is a useful place to check in with for further recommendations, something they are more than happy to do. This is a must visit for anyone with children. The tranquil and awe-inspiring surroundings of Jardim Botânico are sure to wow even the adults, and children will love exploring the many different areas, all while being in safe surroundings. The nearby Parque Lage also has a great reputation for tranquility, and during the winter months the ‘Escola de Artes Visuais’ (School of Visual Arts) puts on many activities for children, including art and theater workshops. 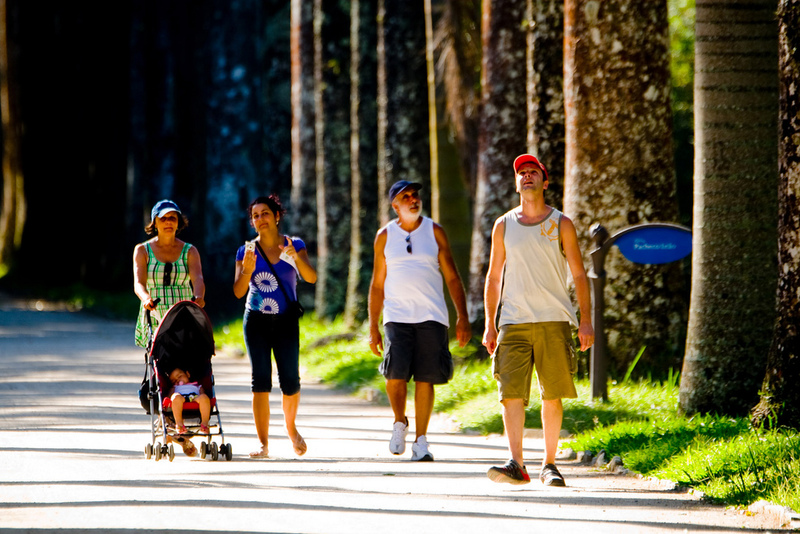 On the outskirts of Barra da Tijuca, Fazendinha Estação Natureza Rio is a rural educational park with more than 30,000 square meters of green space, farm animals and activities. They offer areas for petting and tending to the animals, such as cows and geese; rides on horses and ponies; a restaurant and even some areas for fishing. Similar to Jardim Botânico, this is a wonderful place to take children who are interested in the outdoors and nature. Just a short ferry ride away from the city center, the island of Paquetá almost seems like it was made for children. Cars are banned, so most islanders and visitors explore their surroundings using bicycles. This small, paradisaical island has breath-taking views of Guanabara bay, friendly shops and restaurants selling home-made goods and food, and a handful of well-run and interesting museums and places of cultural interest, making it perfect for a family day out. Jardim Botânico offers such a variety of places for children to explore, including a sensory garden, an area with carnivorous plants, a cactus park and an collection of orchids, photo courtesy of Pedro Kirilos/Riotur. 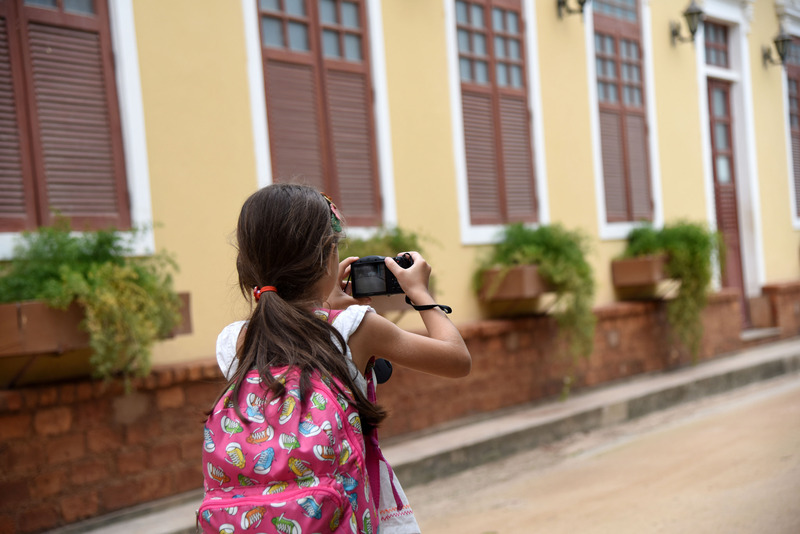 For those with children, finding a hike that isn’t too challenging can prove difficult when you have younger ones to entertain, so Leme fort is a perfect way to combine a healthy activity with an interesting museum and some wonderful sights. As Flavia Idland points out, “It’s a well preserved nature reserve; the hike takes about thirty minutes and is not difficult, and the views from up there are very beautiful.” The fort now contains a permanent exhibition detailing the military history of the area, along with a film room and some other exhibits; although the trip is well worth it even just for the view and its close proximity to Copacabana. The ‘Museu de Astronomia e Ciências Afins’ (Museum of Astronomy and Affiliate Sciences) is an awe-inspiring destination to take any children who are fascinated by space. The museum has many permanent exhibitions, including a scale model of the solar system and a real asteroid on display. The best time to visit is at the weekends, when the museum allows children (and adults too) to gaze through their state-of-the-art telescopes at the night sky above. This museum is also closely located to other kid-friendly attractions in Rio’s ‘Zona Norte’ (North Zone) including the beautiful park of Quinta da Boa Vista (Estate With the Good View).